Enjoy the luxury of hearing the White River flow while you sleep. This very spacious cabin has 1 master bedroom with two comfy queen size beds, a loft with a queen size bed along with a single bed and in the living room with a pull out queen sofa bed. 1 full bath on main floor and a 3-piece bathroom in the loft. This wonderful Cabin is located just outside the quaint little town of Calico Rock, AR. However, the first thing you will notice is the amazing views, views, views! This cabin sits next to the world famous White River, which flows right out the Cabin's back door. While the front of the home overlooks stunning rock bluffs. Upon arrival you will feel right at home and all your worries and stresses will disappear. 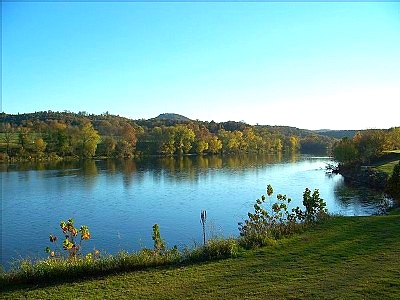 You can enjoy the endless trout fishing practically right off the back deck. 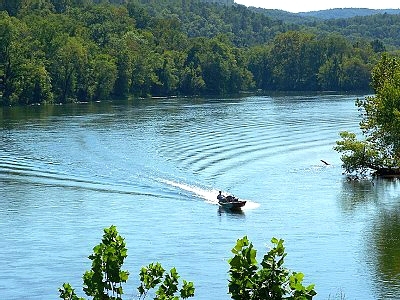 If you have your own boat on this vacation there are public boat ramp's less than a mile down the road from the cabin. You will also be able to grill up your catch of the day on the front deck bbq while enjoying a gorgeous view of the river. Don't forget to sit back, relax, and soak it all in. PETS ARE CONSIDERED (Please Contact for Details) & PLEASE NO SMOKING! !